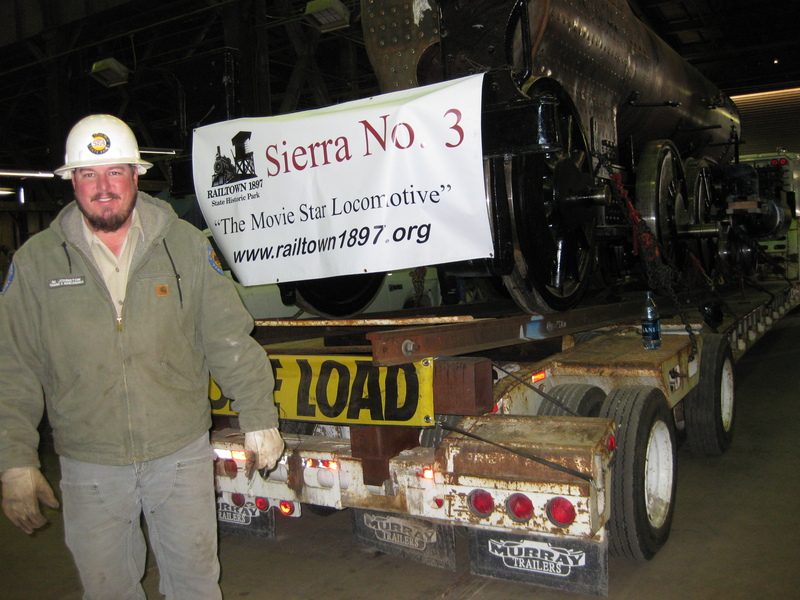 In preparation to begin work on the Sierra No. 28, the work space needed to be prepared. 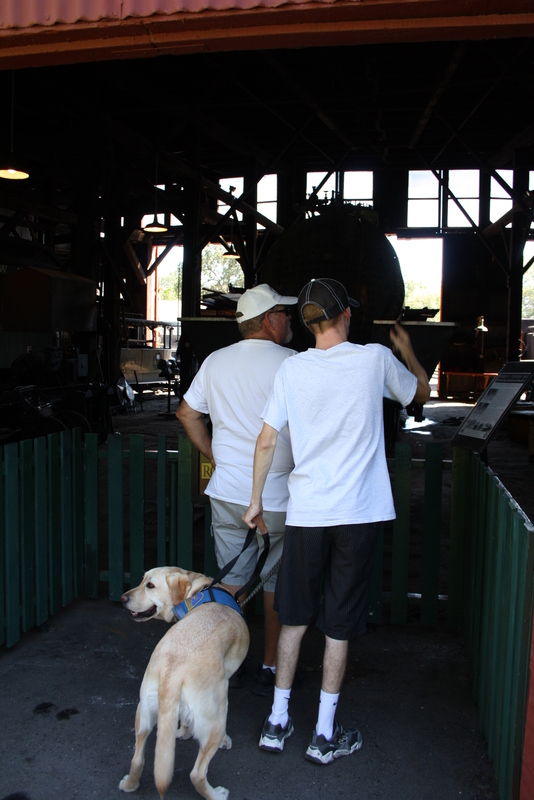 Our goal is to be able to have visitors observe the work as it progresses, in the historic roundhouse. It was decided to switch the Shay No. 2 with the No. 28, because there is an excellent viewing area in front of stall 2, and there is more work space on either side. 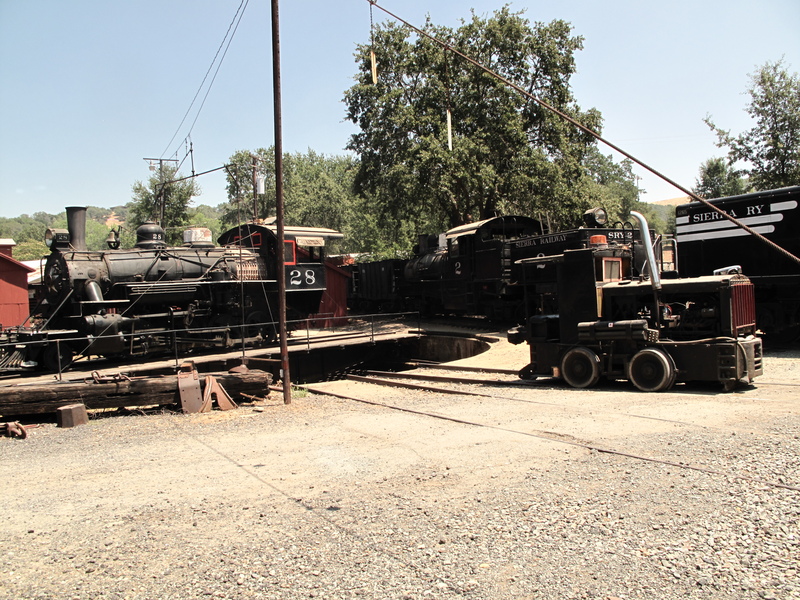 The challenge was how to move the two locomotives. 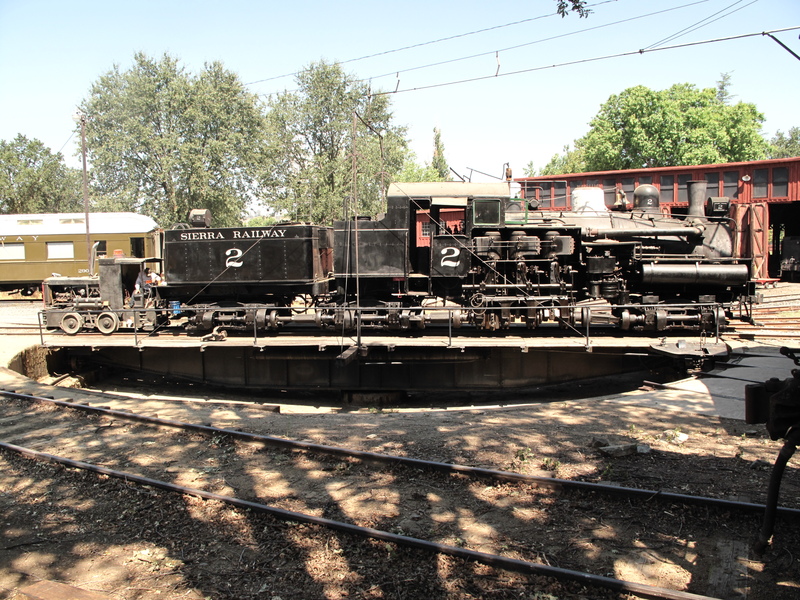 Neither is able to move on its own power, so whatever is used to pull the locomotive out of the stall, must also be able to fit on the turntable with it. The only option was our little Plymouth yard mule. But would it fit? And was it powerful enough to pull the Shay and its tender? With some huffin’ and puffin’ and ‘I think I can’ attitude, the switcher was able to pull the Shay No. 2 onto the turntable. The Sierra No. 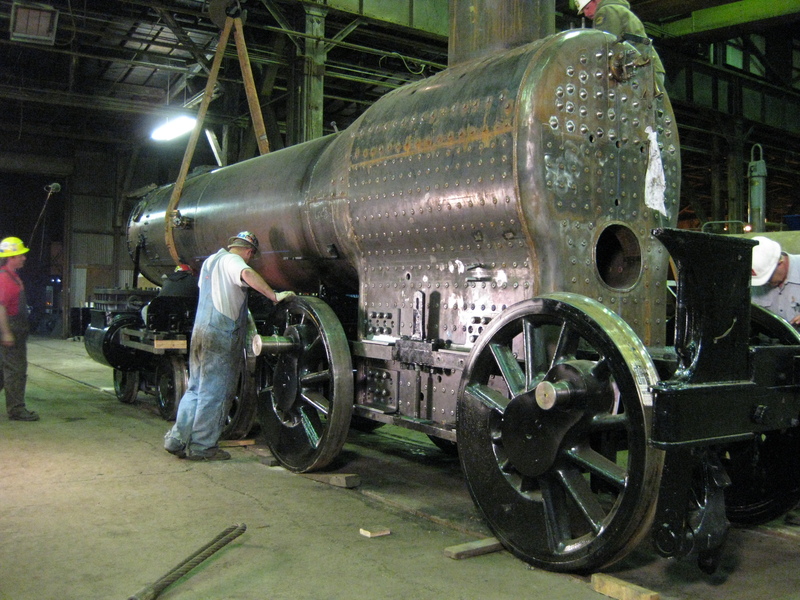 28 was a bit simpler– the removal of the tender reduced the length. 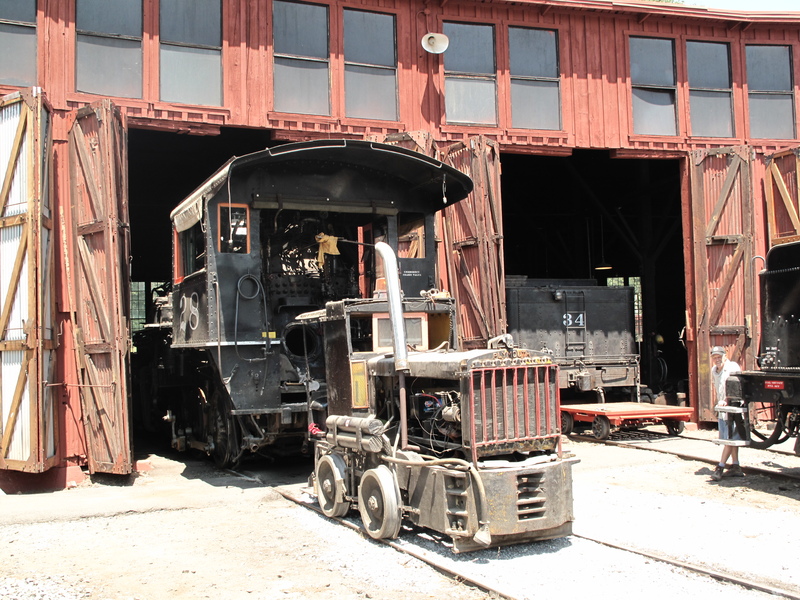 It was pulled out of the roundhouse. . . Turned on the turntable. . .
Then pushed back into the roundhouse, in stall 2. With the tender stored outside, this is where it will sit for the next 10 months. And now park visitors (like you!) can see the work up close as it progresses. For a detailed look at the work, join us every Tuesday at 10AM for a Behind-the-Scenes Shop Tour. One of our most useful pieces of equipment went down on us last year. After many years of faithful service, the transmission gear box failed. It is one of our new machines, housed in the Tri-Dam building, so most visitors do not see it. Keep in mind that the term ‘new’ is relative, here. 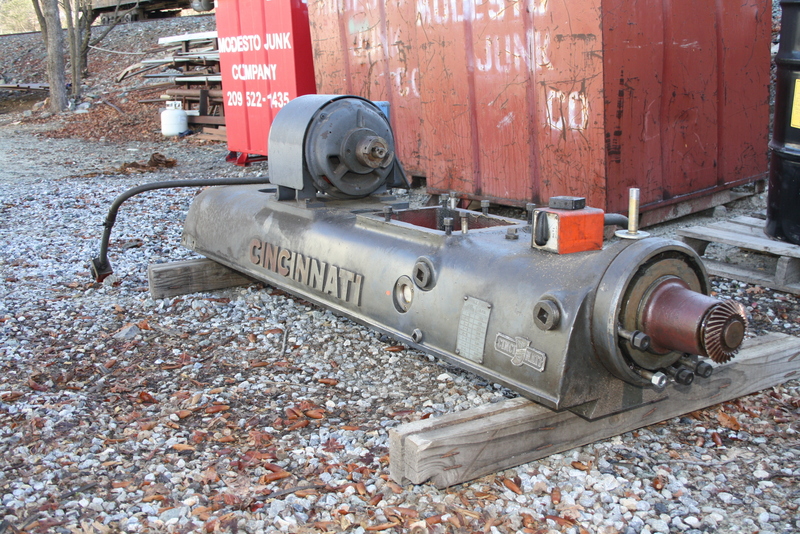 The Cincinnati #4 Horizonal Mill with Powered Overarm, Circa 1954, is new, in comparison to the machines in our historic belt-driven machine shop, but in 2012, most folks would not consider it new. This piece of equipment came to us around 1993, from miliary surplus at Rough and Ready Island. 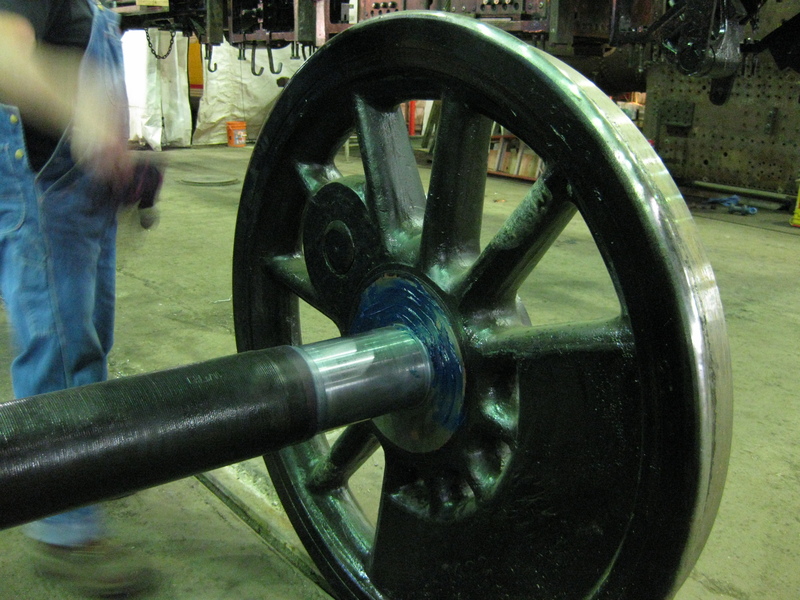 It is heavily used in the shop, for everything from milling the crosshead guides on the No. 3 during restoration, to boring brake adjuster brackets, to re-boring couplers. 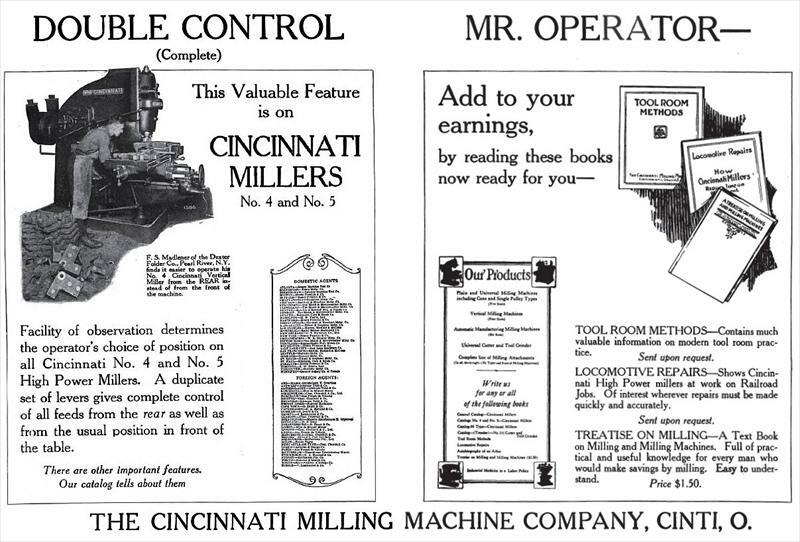 Its a very useful light-duty powered overarm mill. The overarm is an accessory which essentially converts the horizontal mill into a vertical mill, as needed. 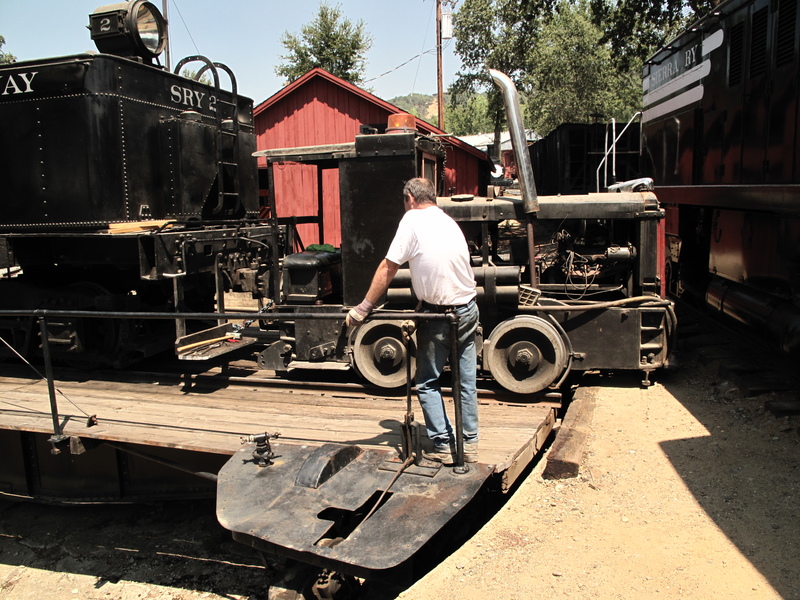 Our cohorts at the California State Railroad Museum picked up a heavy-duty overarm at the same time we aquired ours, and its been in storage ever since. This one is about twice as heavy as our old one, but we were able to get our hands on a factory print of the circuitry. Our district’s amazingly gifted electrician, Steve Spath, rewired the crunchy old motor leads, and designed custom electrically controlled circuitry. 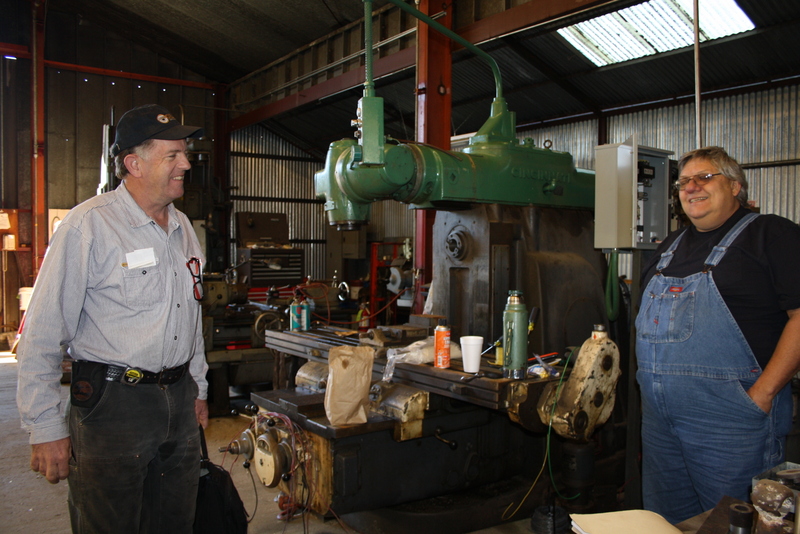 In early February, Steve spent two days with George & Phil, in the shop, where they installed and tested the new arm. Just like new! The old overarm attachment, ready for retirement. 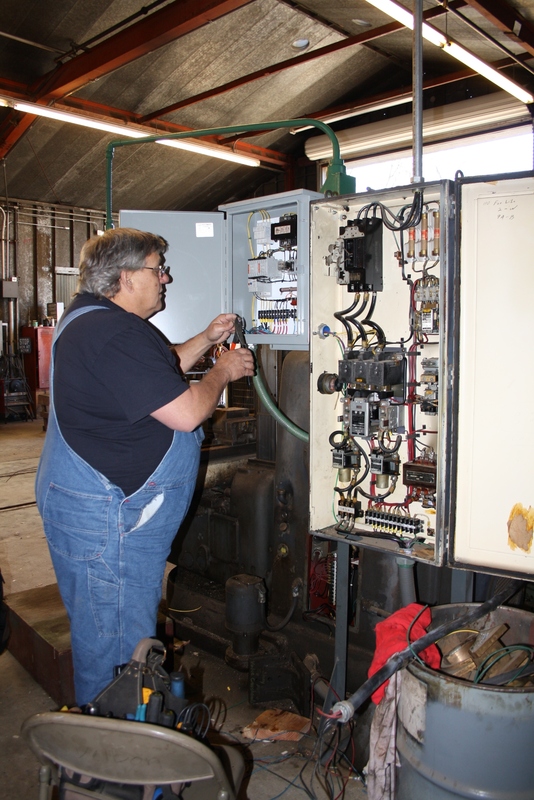 Steve Spath puts finishing touches on the electrical for the "new" overarm attachment. Voila! The replacemnt arm in position, and ready to go. 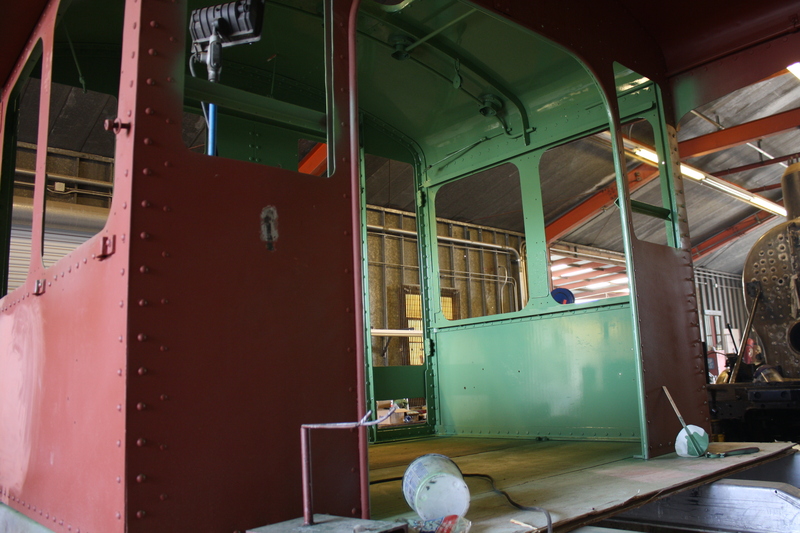 The cab is sporting a new interior coat of green. Phil uses the mag drill to drill hole for stud in backhead of the boiler. 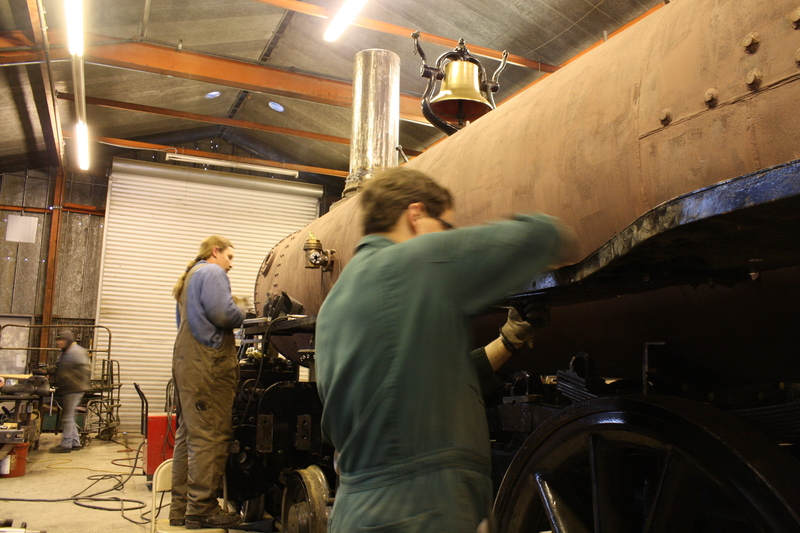 James and DJ attach the running board. 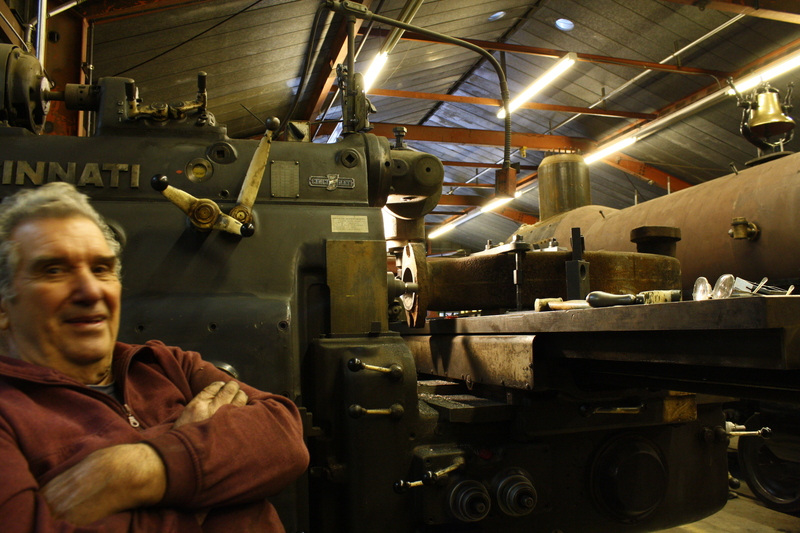 Bob West finishing up the machining on the distribution pipes. 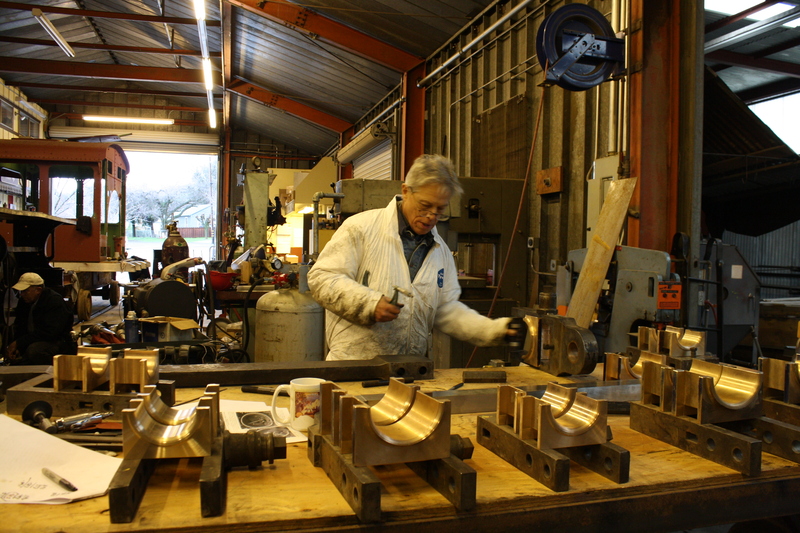 Jim, on loan from Sacramento this month, lays out the rod brass for assembly. Oversized loads require a special transportation permit, issued by The California Department of Transportation (CalTrans). Our load is over the height limit. 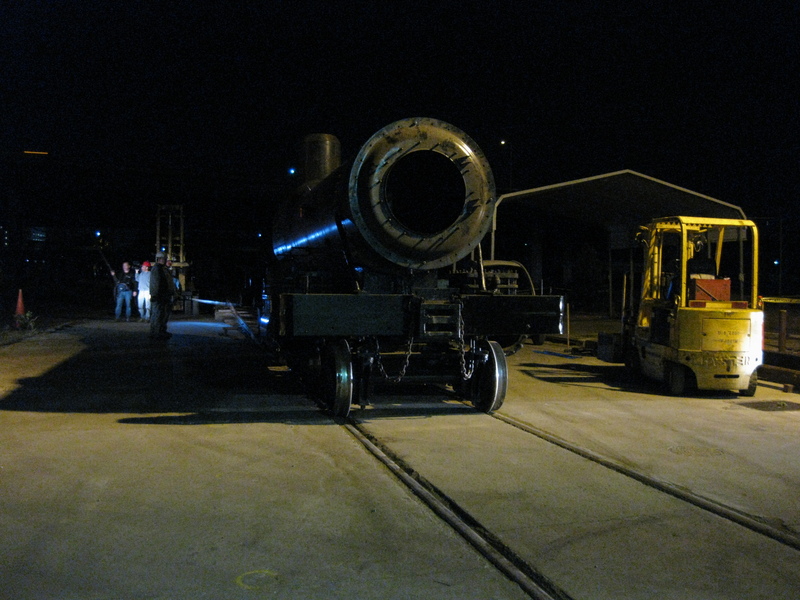 A permit had been obtained for a 14’6″ load (at the top of the steam dome). Our final measurement (including rail, angle of the trailer, etc), measured 15′ 3″. This required a new permit. The request was submitted first thing in the morning, and at this point, we are waiting for our permitted route from CalTrans. The permitted route will take into account the height of overpasses, overhanging wires, and any other known obstacles which may interfere with safe travel. We anticipate the need for a pilot car on 120 in Tuolumne County. Brendan Siminuci, of Siminuci Construction, has volunteered to provide pilot car services for that portion of the trip. Jim Bays and Mark Johnston take last measure of the high point of the load for the permit. State Parks Heavy Equipment operator, Mark Johnston, waiting for the permit. All loaded up, and ready to hit the road! 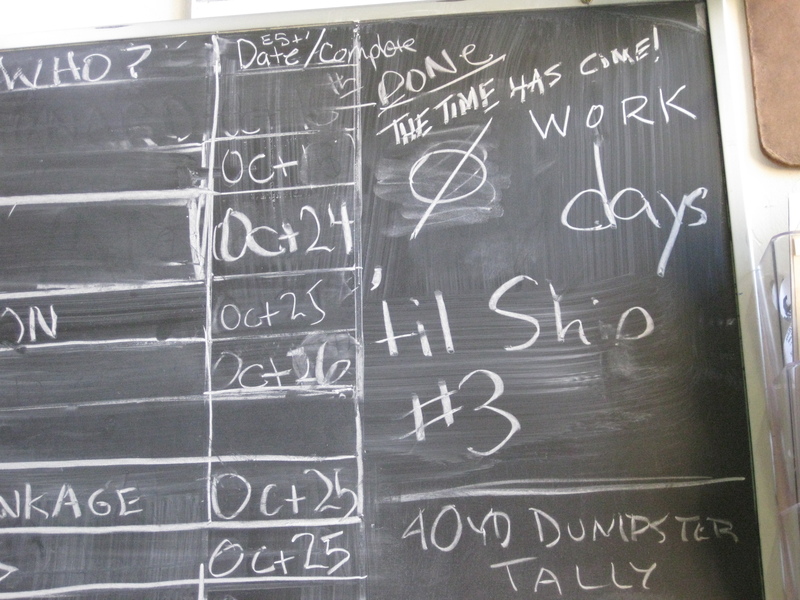 For two months of alternate shifts working 7 days a week, this board has tracked the time. Today was the final shift, the last of several long days this week. 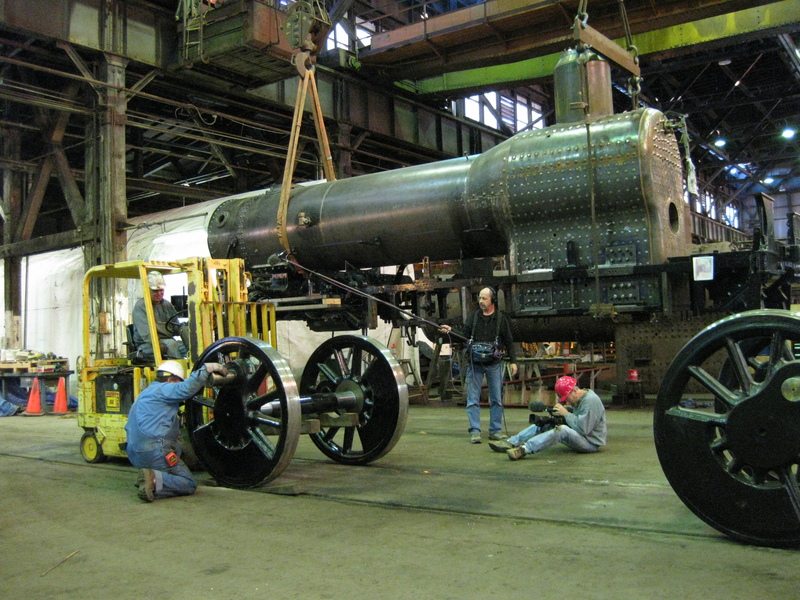 The boiler and chassis were lifted off of the horses by overhead crane. 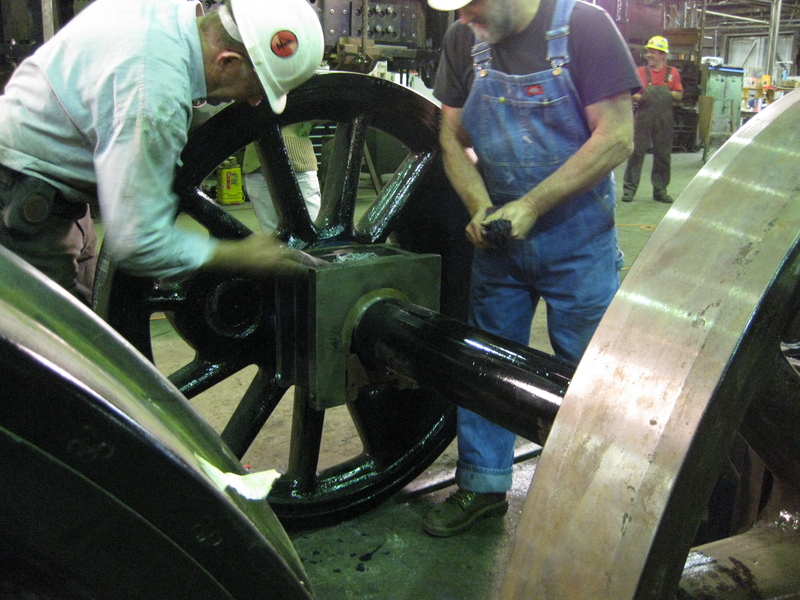 The driving wheels were then rolled in. 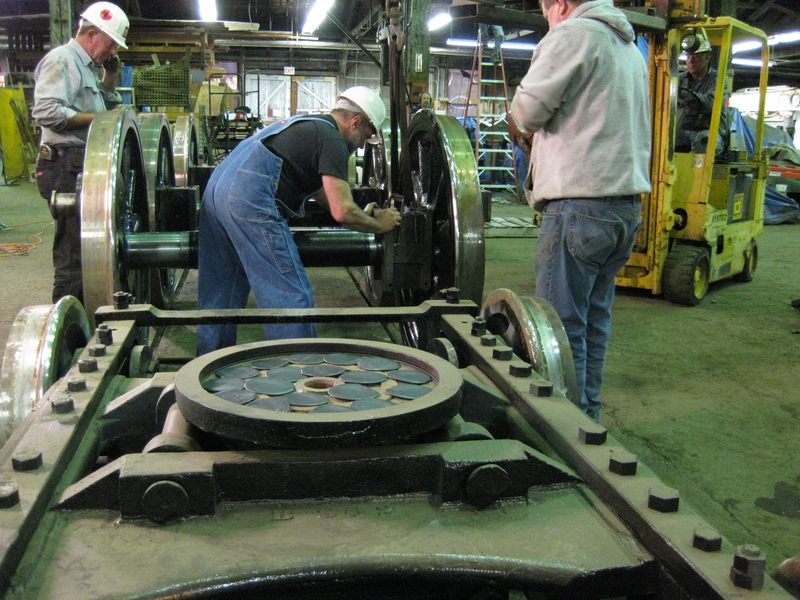 Grease was applied to the axles and driving wheels in preparation for driving box installation. 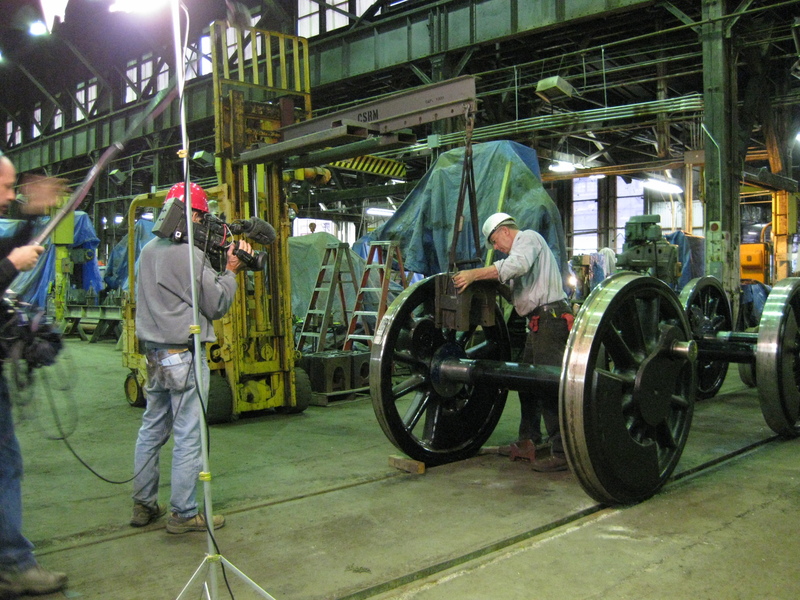 The boxes were then lifted into place on the axles of the driving wheels. Cotton wool was packed into the reservoirs to hold the lubricant. 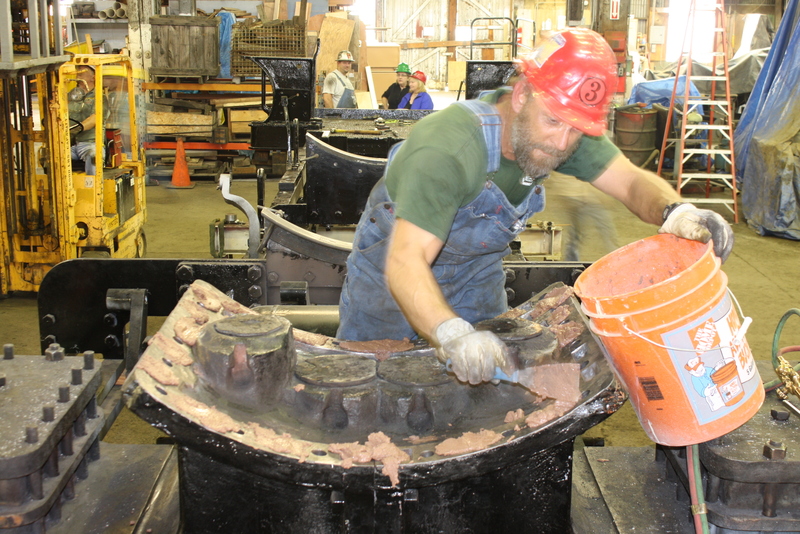 Graphite cakes are applied to the pilot truck centerplate--another type of lubricant. 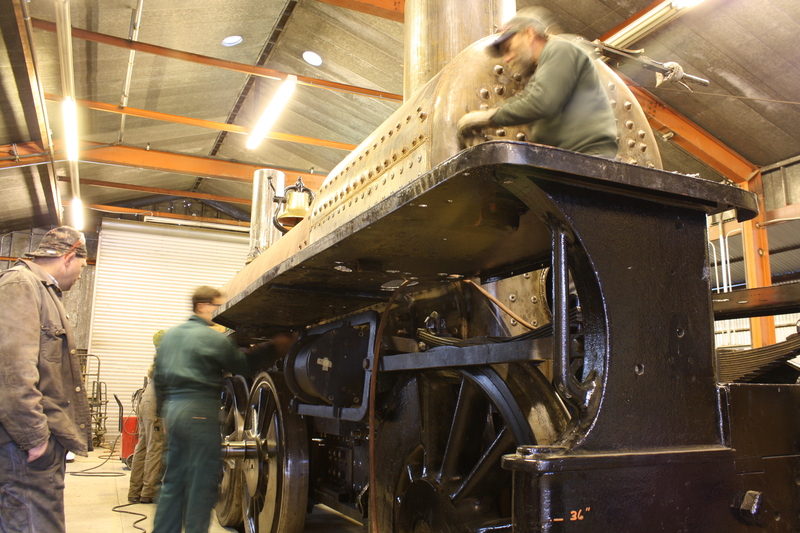 And then the frame and boiler were fit to the wheel assemblies. 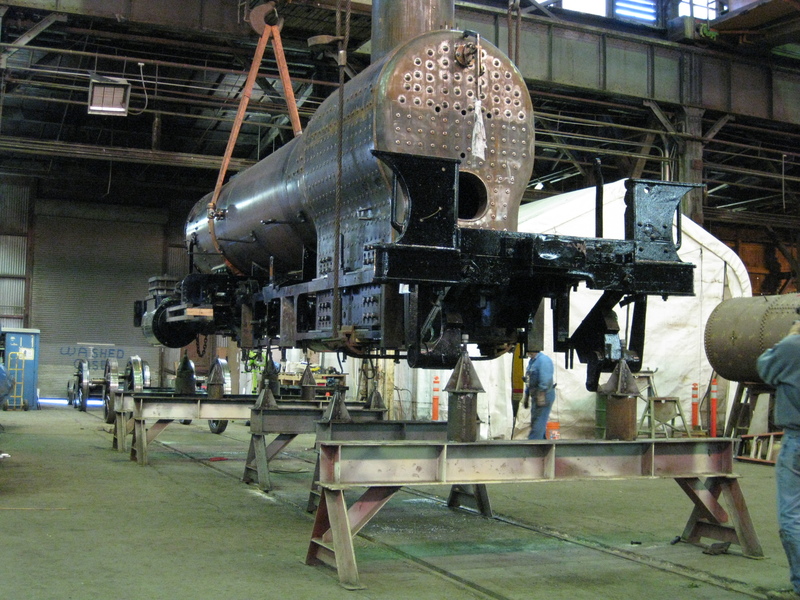 Suddenly, after months of work, it looks like a locomotive, as it is wheeled onto the transfer table! And, under cover of darkness, the contraption is finally loaded onto the trailer. Its been a long day, but the deadline has been met. 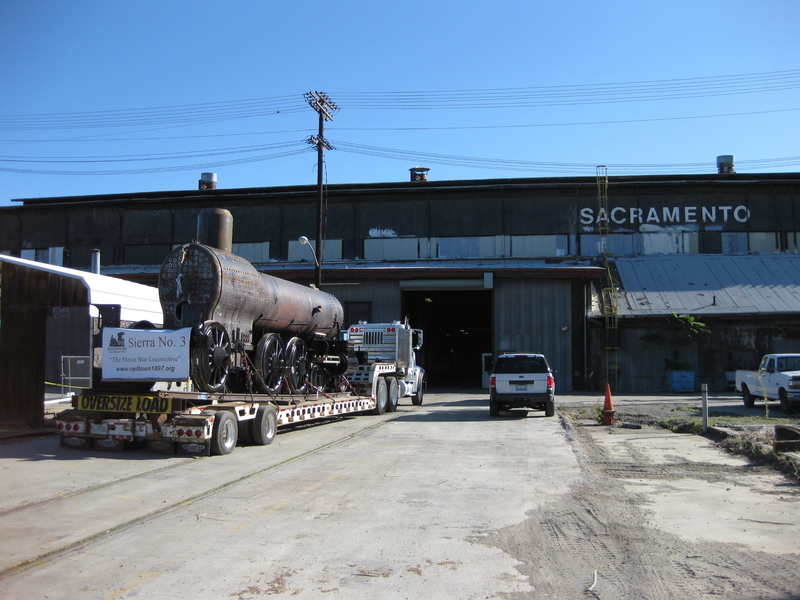 Sierra #3 will be delivered to Railtown tomorrow. After more than a month of fitting and adjusting, the time for the final attachment of the boiler has arrived! 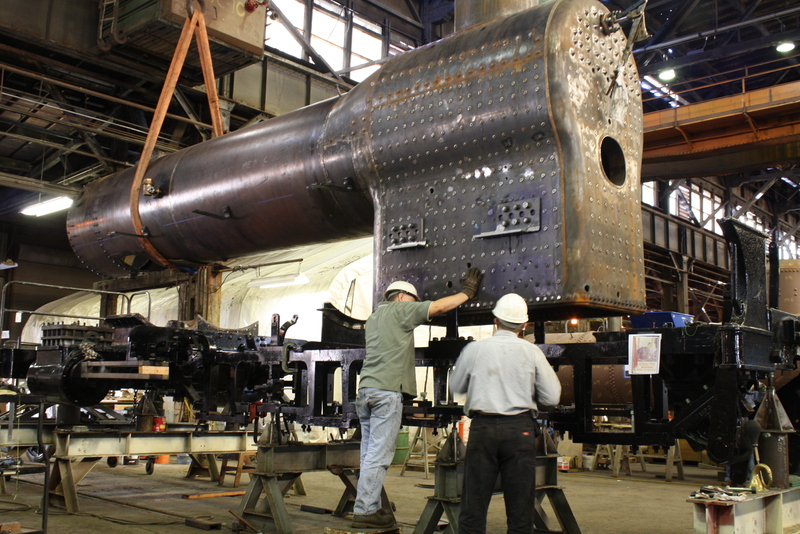 Each of the furnace and waist bearers has been fabricated and adjusted. All of the difficult-to-reach holes have been drilled and reamed. “Proud” bits have been ground down (“proud” is shop-talk for something that sticks out too far). 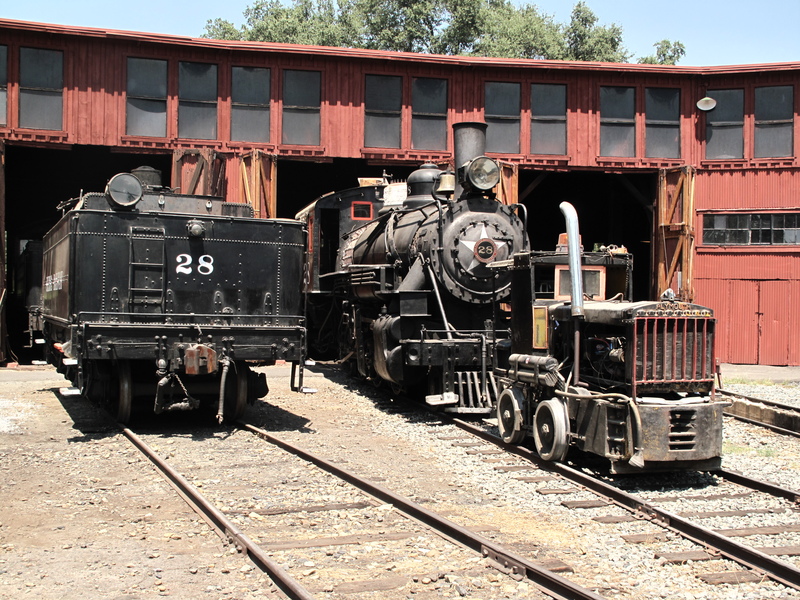 And at approximately 3:45 today, the cement was laid on the smokebox saddle, and the boiler was fit into place for the final time. Phil Hard applies furnace cement to the saddle. 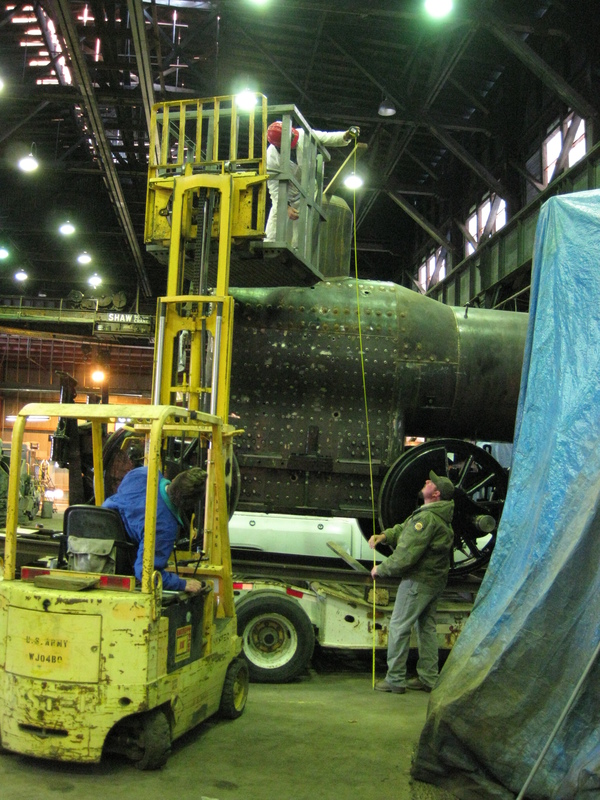 Greg Kelsch and George Sapp guide the boiler in for the final time. Just 2 more work days until the truck leaves for Jamestown!